Lily's Kitchen - Special Offers On Treats! Lily's Kitchen are proud to bring you some special offers on select ranges of dog and cat treats. With natural omega oils to help keep your dog’s coat and skin in tip top condition, Capelin Bites are the perfect nourishing, complementary treat for good dogs. Made with 100% pure, sustainably caught whole fish which supports cognitive function, Chewy Capelin Bites are easy to digest and are brilliant for training time. Purchase now and get 2 for the price of 1 - no code necessary. Rough and crunchy, these Fish Rolls will keep your pooch entertained and are great for teeth, helping to remove tartar. These rolls are full to the gills with omega oils, so help keep your dog’s coat shiny and their skin in tip top condition. This fish is carefully sourced and air dried to naturally lock in the nutrients of the fish. Should be consumed no more than once per day. Purchase now and get 2 for the price of 1 - no code necessary. vitamins and taurine, so you can feel great about the extra goodness these treats bring… purrfect! Get yours for only £1.99 for a limited time only. Association with Lily's Kitchen's Exclusive Affiliate Partners Agency. Don't miss out on these fantastic offers from VioVet, with savings of up to 33%! offer expires midnight 30th June. Yumega Horse Skin & Coat is a supplement high in Omega 3 & 6 oils and rich in Vitamin E, to help nourish the horse's skin and promote a shiny coat. Get 33% off orders between now and midnight June 30th. Was £27.99 now £19.94. YuMOVE Dog is a premium joint supplement for dogs which soothes stiffness, safeguards long-term joint health and promotes mobility. Following two and half years of rigorous clinical research by the Royal Veterinary College, YuMOVE is now the first joint supplement ever to be clinically proven to work in just 6 weeks. All the ingredients in YuMOVE have been carefully selected, based on the results of research that prove their beneficial effects for your dog's joints. Yumove is now available as Yumove Advance for Cats. Feline Yumove is perfect for cats that like to get about, and could do with some extra support in both young and ageing joints. Don't miss out on these fantastic offers from VioVet, with savings of up to 15%! Forthglade's cold pressed, grain free, complete dry pet food is suitable for dogs aged 2 months+. A nutritionally complete food that can be fed on its own or mixed with good quality, natural wet dog food. 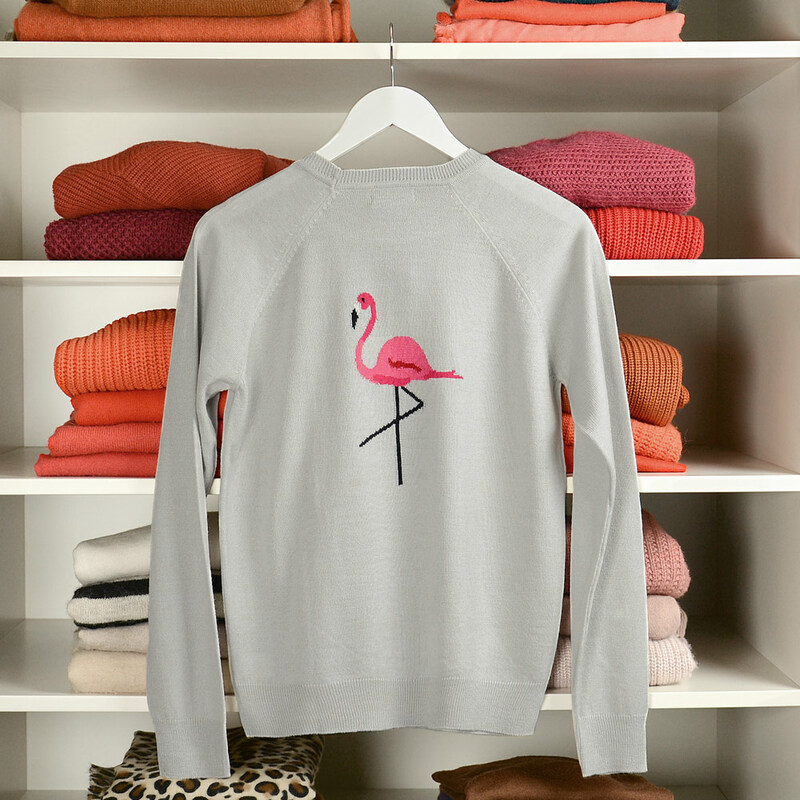 Get 15% off Forthglade purchases, offer expires midnight 31st May. Flies can be extremely annoying for horses and can cause irritations and carry disease. Helping to repel flies is an important part of owning horses, so take a look at VioVet's offers on a variety of different sprays with up to 28% off the RRP. Offer expires midnight 31st May. Frontline Spot On is the clear market leader for flea and tick treatment for dogs and cats. Easy to use, safe and effective, its introduction revolutionised flea treatment around the world. It provides valuable and lasting cover against fleas and ticks, as well as the other health problems they can sometimes cause. Get 10% off your Frontline Spot On purchases now, offer expires midnight 31st May. James Wellbeloved is a wholesome and natural hypo-alllergenic dog food for loose bowels and for calming itchy and irritated skin. Save £3 on 15k Large Breed Adult bags. This offer expires midnight 31st May. Animal Charity campaign from Rajapack - Vote for your sibling, partner or parent! Animal Protector Charity campaign - nominate yours today! This isn't an offer or promotion but hope you will find this of interest. Rajapack would like to thank those who put animals first by running the Animal Protectors campaign. This opportunity is to reward people who look after all animals by presenting them with a Reward Box filled with £100 worth of pet products to help them to continue caring for animals. Please read the Rajapack blog page for more information and to enter your Animal Protector! 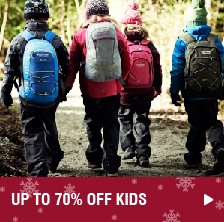 New Programme - Hawkshead.comWe are excited to announce the launch of the Hawkshead Affiliate Program on Affiliate Window!With a great launch offer of 8% commission and a fantastic Up To 70% OFF Sale join and promote Hawkshead Today! 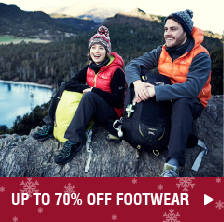 We love the great British outdoors and we’re on a mission to help our customers make the most of every season with a range of clothing, footwear and accessories designed for stylish, comfortable and practical performance whatever the weather. Join the Hawkshead programme today live on Affiliate Window. 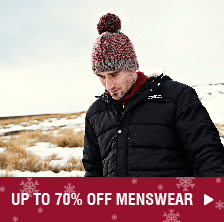 Hawkshead offer FREE STANDARD UK Delivery on all Orders over £40 and offer a variety of outdoor garments and footwear for all the family. The programme is managed by Nic Yates, Hawkshead designated affiliate agency Silverbean - Nic is available to assist any affiliate on a daily basis. Any query; technical or promotional can be answered by Nic who will also be on hand to provide regular content, offers and competitions. Hawkshead offer 6% CPA on all sales including VAT (minus Delivery). 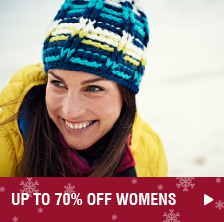 As an exciting launch offer Hawkshead are offering a temporary commission increase of 2% until 23rd January 2015.Join the Hawkshead affiliate programme today and promote Hawksheads' excellent 70% OFF WINTER SALE which will certainly increase conversion. To join the programme simply click here. If you are not currently a user at Affiliate Window you can sign up here. If you have any questions or promotional opportunities in regards to the Hawskhead affiliate programme please do not hesitate to get in touch with Nic Yates. 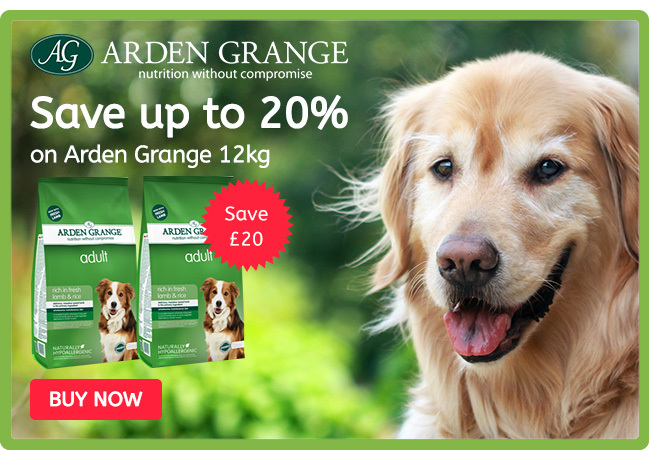 This week we are offering up to 20% off 12kg bags of Arden Grange Dog Food. Arden Grange dog food is one of our most popular foods at Monster Pet Supplies, and we’re not surprised as their products are hypoallergenic, meaning it will be highly unlikely to upset your pups tummy. Their products also have no artificial flavourings, colours or preservatives, and are easily affordable, especially when you shop with Monster Pet Supplies! Any questions? Get in touch, I’ll be more than happy to help. Save Up To 75% in our Love Pets Christmas Sale! Love Pets have just launched our BIGGEST EVER sale with over 1,000 products now at an all-time low price! in this truly incredible sale. Take customers straight to the page where they can filter down what products they want. There is no discount code needed for these prices, the customer can just shop as normal. money in the coming weeks through the Love Pets affiliate program. 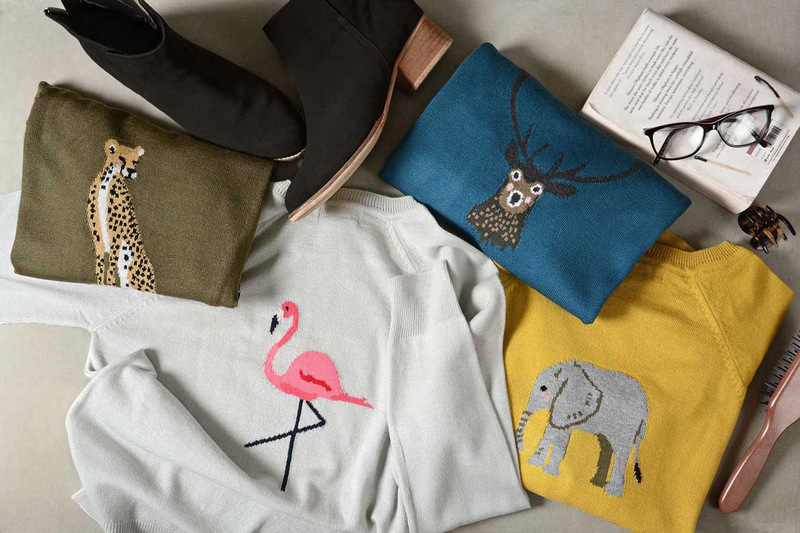 Below are a couple of the products featuring in our Christmas Sale. Pet Bagless Vacuum this job has become a whole lot easier! non pet owners will do well to find a better machine for their cleaning needs. home dust and dirt that builds up on your floors. The Ferplast Sofa Prestige Dog Bed comes complete with a removable padded cover and is made from a synthetic leather. You only have to look at the Prestige dog bed to see why this is so popular among dogs and their owners. Its elegant style and luxurious padded bedding make this a treat for everyone. Love Pets New Fish Tanks and Aquariums Range! Lowest Prices in the UK! Offer: New Fish Tanks and Aquariums - Lowest Price in the UK! Love Pets have always had a fantastic range of products for dogs and cats (to name a few) but we now have a brand new selection of high quality fish tanks and aquariums for our customers to enjoy! All of the fish tanks are available at the lowest price in the UK - and if any customer finds them cheaper elsewhere then we will refund the difference as part of our Price Match Guarantee. This new range features well-known brand names in the fish tanks and aquariums market such as the Juwel Rekord, Ferplast Capri, Ferplast Cayman and Ferplast Dubai. We have catered for all levels of fish owners, whether they are looking for their first ever tank, or they are looking for a larger aquarium that they wish to be the focal point of their home. With many of our products being high ticket items, there is a real opportunity for our affiliates to earn a lot of money thanks to our high commission rate of 6% on every order made. Owning fish appeals to all ages and backgrounds, so we hope you all see the potential in this exciting offer we are bringing to the table. This Rekord 800 fish tank allows fish enthusiasts of all levels to experience the amazing facilities that the Juwel range has to offer. The intergrated filter system that comes with the Rekord 800 fish tank allows easy access to the media and a thoroughly clean and hygienic environment for the fish. The Rekord 800 aquarium has an easy access hood which makes replacing the water and feeding the fish a simple task for everyone! The Ferplast Capri 60 fish tank is a beautifully manufactured aquarium that can be easily set up and maintained. 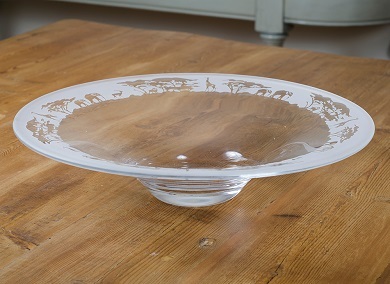 It has a real sophisticated and stylish feel to it and will make a great addition to your living room, bedroom or any other area of your house you wish to show it off. The Capri 60 has a large front hatch for maintenance purposes as well as smaller holes that can make feeding the fish a simple job. 10% Discount Code For ALL Cat and Dog Accessories at Love Pets! Love Pets have one of the biggest collection of cat and dog accessories in the UK and for the next few weeks customers can get an extra 10% off our already unbeatable prices with this discount code! For dogs we have an exclusive range of dog toy collections, grooming products as well as a fantastic range of beds, collars, leads, crates and much more. Similarly in our cats range we have the most popular beds, toys and scratchers to choose from. With a commission rate of 6% on all orders this is a market leading deal for not only customers, but for our affiliates too so make sure you pick up this offer and promote it until it expires on the 25th September. To activate the code customers need to enter AFLBIG into the box on the checkout page and the discount will then be taken off. The Dog Ruff Bed is made from a tough woven nylon that can withstand the attentions of even the most persisitant of bed chewing dogs! This high quality cover is also waterproof which makes it ideal for outdoor use and if it gets dirty simply spray/hose it down & hang it up to dry using the attached storage loop. The secret to a good bed is comfort and these Dog Ruff beds are filled with space age memory foam crumb that contours to your pets body shape no matter how they lie. In conjunction with other offers we currently have running at Love Pets, we are now bringing back a 10% discount code which customers can use on any order with us. Customers can claim this discount by entering the code AFLGOLD at the checkout page. We sell thousands of quality pet food and accessories all under our Price Match Guarantee, meaning customers know they are getting goods at the best possible price. The most recent 10% discount code we ran proved to be our most successful ever through affiliate window so we expect pet owners to jump at the chance of this offer again. With our market leading commission rates of 6% we have been able to put together a really strong offer that will run until 2nd September. Love Pets discount codes have proved a hugely popular way for our customers to shop in recent months and thanks to our affiliate partnerships, sales have grown rapidly. For the next few weeks we have one of our most popular offers back up and running - where customers can get an extra 10% off ANY order at www.lovepets.co.uk. To claim this discount all customers need to do is shop as normal on our user-friendly website and then enter code AFLDROP at the checkout, where they will then see the discount taken off their order. We sell thousands of pet products, ranging from dog and cat food and accessories, to wild bird food, chicken, fish and reptile products. We have recently lowered our Free P&P offer, so now ALL orders over £29 will be delivered free of charge. We have a market leading commission rate, so there is no reason why all our affiliates should not promote this offer to its maximum. Below I have listed a couple of our most popular items that pet lovers will be keen to purchase with this discount code. Featuring powerful 1900W bagless technology, the Bissell Powerforce upright vacuum cleaner (59Q4E) provides high suction levels for better pickup results. The Bissell Powerforce upright vacuum cleaner has 4 stages of filtration including HEPA capture those finer dust particles; while the crevice tool ensures you can vacuum all those hard to reach spots. With a large 2L dust capacity, the Easy Empty dirt cup allows you to empty the vacuum easily and quickly via a foot operated on/off switch. For the next couple of weeks, if customers use the discount code AFLVALUE then they will get 10% off their order at www.lovepets.co.uk. We have thousands of quality pet products, catering for dogs, cats, birds, small animals, reptiles and chickens. Along with top brand dog foods, we also have toys, beds and plenty of other accessories - making our website a pet lovers paradise! There is no minimum purchase necessary for this offer, all customers need to do is enter the following code at the checkout - AFLVALUE. Love Dogs is our very own brand of dog food and has been taking the dog world by storm! It contains a much higher meat content than many leading brands, meaning your dog is left happier and healthier as a result. Our Variety Pack is the perfect choice for people who want to try this out, as it contains 2KG bags of all four flavours, which with this media code we will deliver for free - costing you just £29.99! The Kennel Club Starter Kit is a great collection of products for any new dog owner. The kit includes a soft-walled pet bed, anti-gorge feeding bowl, a lead and a collar. The dog bed has a luxurious plush lining, combined with a 100% recycled fibre fill with extra cushioning. Small Starter Kit dimensions: Bed - 50cm x 40cm, Bowl - 14cm diameter, Fixed Lead is 1 meter in length and the Adjustable Collar is 21-35cm long. Love Pets have a very special offer running over the next couple of weeks that gives customers free delivery on EVERY order until the 3rd July. This is the perfect opportunity to stock up on your pet food and accessories and get it all delivered straight to your door. There is no minimum order needed to qualify for free delivery, customers just need to enter the following code at the checkout - AFLPOST. The last time we ran this promotion we saw a huge surge in sales, so we expect the same as pet owners stock up on food and toys for their pets. Love Pets sell thousands of new and high quality pet food and accessories and below are a couple of our most popular lines. Love Pets are running a new campaign over the next 3 weeks, giving customers a fantastic money saving opportunity with discount code AFLWOW. For every order that is placed over £49, we are not only giving customers free delivery on their orders, but also giving them a £5 discount - altogether being a saving of £9.99! The last time we ran this promotion it proved to be our most successful to date, so we encourage all our affiliates (and potential new ones) to promote this offer and help push sales in the coming weeks. All customers need to do is enter the code AFLWOW into the box at the checkout page to claim. The Handi Scoop Poop Picker is ideal for in the garden, on a footpath, in the park or on the beach. The quick and easy scoop and lock system with a rotating head makes it easy to safely reach mess without the need for touching or bending. Free Bag of Love Dogs Food worth £9.99 with EVERY Order! For the next two weeks Love Pets are giving away a free 2kg bag of our hugely popular Love Dogs food with every order that uses our discount code AFLWOOF. Since launching our food at the start of the year, Love Dogs has become the number one choice of dog food for thousands of customers, due to its high nutritional quality and great price! There is no minimum spend to get this free bag of food, so the customer can spend £1 or £100 and still receive this free food. We recently run a similar offer to this, which proved extremely popular, despite the customer having to spend £30 to get the free food - so we fully expect this to generate a high number of sales as dog owners hear about the offer. Love Pets are giving customers a great chance to save an extra £9.99 on their orders with us when they spend over £49! By spending £49 we will not only deliver their products for free (usual P&P cost is £4.99) but we will also give customers £5 off their order total! This is a fantastic offer which we expect customers to make the most of while it is running until the beginning of June. To get this discount on their orders, customers need to enter the media code AFL999 into the box at the checkout. Below I have detailed a couple of items that customers might be particularly interested in. This pet hair remover is a superb product that every pet owner should have! It's top quality design and performance means it will pick up pet hair and dirt that other hoovers will leave behind. Not only will this leave you with a clean looking carpet, but it will help avoid allergies by sucking up all the tiny bits of dust that is invisible to the eye. This product has been one of our best sellers for a long time now and has featured on a number of our live TV broadcasts. The Groom-It Deshedding Tool works effectively for all shedding breeds of dogs and cats both long- and short-haired. It addresses the issue of the undercoat which can become a dense mess of loose dead hair and the major source of shedding that causes allergies and cleanliness problems. The revolutionary grooming device utilizes a unique 4-inch stainless steel edge that grabs loose undercoat hair and quickly and easily removes it, without damaging the topcoat. It actually brings out the pets natural oils leaving a shiny and healthy topcoat. Love Pets have a brand new discount code offer beginning today, giving customers the chance to get £5 off their orders over £49 with us - and all of these orders will be delivered ABSOLUTELY FREE! We are one of the fastest growing online pet stores in the UK and are enjoying great success through our affiliate program in 2012. We carry thousands of the great pet products for dogs, cats, small pets and birds among others that are all available under the price match guarantee - meaning a money back offer for customers who find it cheaper elsewhere! Below are a selection of some of the products on the Love Pets online store. Love Pets have a brand new discount code offer beginning today which gives customers the opportunity to save 10% on over 5,000 products available at www.lovepets.co.uk. Affiliate sales have soared since Love Pets set up our programme, with our market leading commission rate of 6% and great offers to customers combining well to generate a large amount of sales. The link above takes customers to the Love Pets home page, where they are just one click away from finding the products relevant to the pet they own. Dog owners love to treat their beloved pets and this discount code allows them to do so at an amazing price! To claim this discount customers have to enter 'AFLDISC' into the discount box on the checkout page. Spring is Coming...Catch it on Camera with FlyontheWall! There's a great range of kit to suit all budgets - from true outdoor adventurers to those who prefer to view Britain's wildlife from their kitchen window! PLUS, customers can use voucher code 10JDS - to save an extra 10% until 31st March 2012. FlyontheWall offer products which are competitively priced and easy to install and use with comprehensive after-sales support resulting in happy customers! The full product range (available as a feed to to download) includes CCTV packages, spy cameras, wildlife cameras, night vision and low light cameras, wireless security cameras, in-car surveillance and listening devices, as well as a fantastic range of spy gadgets and gifts. The Fly on the Wall affiliate program is managed by Karen Clayton at Azam Marketing. Please email karen [at] azam.net if you have any questions or feedback! Love Pets - Free P&P on ALL Orders! LovePets.co.uk is one of the fastest growing online pet stores in the UK and we are offering customers the chance to make a great saving of £4.99 on all orders with this FREE P&P code. All the customer has to do is enter the code 'AFLDEAL' at the checkout and the £4.99 will be removed from their order total. Love Pets sell thousands of pet products, all under our price match guarantee, meaning we will give customers a refund on any of our products they find cheaper elsewhere. For pet owners it is a great opportunity to stock up on multiple products in the knowledge they won't have to pay a penny to get them delivered to their homes! We have hundreds of new products in store for 2012, including a new range of dog beds, dog toys and car safety equipment for dogs. Our market leading commission rates and rapidly improving sales on Affiliate Window makes this a great deal to promote. This fun new cat scratcher will provide hours of fun for you cat with its playful hanging toys and scratch post. This is a tough, durable product but is also well designed, making it a welcome addition to your living room. With this product already available at half price, the extra 10% will give customers a saving of over £18!